Home > Moving Guides > Before Your Move > Finding Specialty Movers > How Much Does it Cost to Move a Mobile Home? While the name mobile home might evoke images of one rolling down the highway en route to its next destination, always moving from one place to the other, the process of relocating a trailer is actually a lot more involved than you might realize. After all, despite their name, mobile homes aren't really that mobile. While they are certainly easier to relocate than your average single-family home, there is still a lot that goes into moving a mobile home. 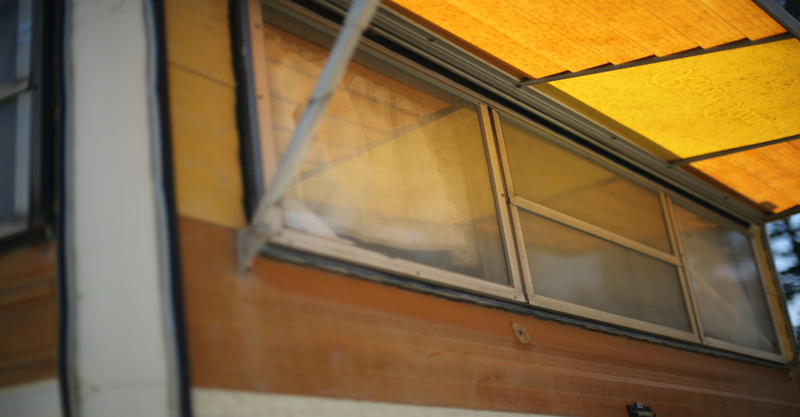 Moving just household goods can be expensive, so you know moving a mobile home will cost you. Manufactured homes are tough to move, and they will drain your time and energy as well as your wallet. If you're considering moving a mobile home, consider all the factors involved before calling up a moving company that specializes in relocating manufactured homes. Because mobile homes serve as a permanent living accommodation, the moving company is really moving a tiny house. The cost of a mobile is typically $5 to $10 per mile, depending on the size and condition of the trailer itself. A short distance move ranges from $1,000 to $5,000 without any extra fees. They usually end up costing around $6,000 to $20,000 -- while long distance trips can cost more than $30,000. You will need to have the origin and destination addresses for the most accurate price. The movers will need to determine a route between the two that can handle the size of the load. Certain highways have weight limits, and residential roads are not always big enough to accommodate the size of a manufactured home. A reliable company will come to you and assess the mobile home, including taking measurements and checking the foundation. The foundation and absence of wheels is the most important factor in moving. For example, moving off a block foundation costs more than if your home is on a slab. The trailer's weight will also affect the price of moving, and the company needs to confirm they have the right equipment. You will pay extra if guide cars are needed to accompany the move. When the movers finalize their quote, know whether it's a ballpark number or the flat rate price that you will pay. The movers place the trailer on a large flat-bed and tow it. They travel only on major highways that offer them enough room. Traveling on small, narrow back roads with a lot of curves and twists and turns is not possible when transporting a mobile home, even if it happens to be the shortest distance between the two locations. Save money by sticking to your moving budget and not settling on the first quote you get. Take your time to explore your options. Don't be afraid to negotiate or ask about what deals or discounts you can be qualified for. Choose a company that provides you with their license number and proof of insurance to cover any damage caused. They should also have moving permits and quality references upon request. Moving companies often show reviews of customers on their website, but you should use search engines to find the less-than-postive reviews. Review websites like Yelp post honest reviews. Sometimes customers will even share how much they paid, so you get a better idea of how much you may spend. Before you hit the road, there is a lot of preparation that goes into moving your mobile home. The moving company you hire will be responsible for most of this preparation, but since you'll be moving an entire home, there is a lot of work that goes into making sure that all of its contents are ready to be relocated. The movers will lift the house off the ground and raise it high enough to install the axles that will allow it to be towed safely and securely to your destination. All windows and doors on the home need to be secured as well and covered up, so that you won't have the front screen door swinging open on an interstate highway. You may pay additional fees to have your utilities canceled. Many mobile homes have utility and power lines connected to their home by the utility company, who may charge a fee to come and disconnect these lines from the home when it is time to move. Preparing the home for a move can cost up to $1,000 on average, and that's even before the actual move itself. Once your mobile home arrives safely at your destination, there is still a lot of work as far as setting up the home and making sure that it is placed correctly in the new lot. To begin with, you'll need a moving permit to transport your mobile home from one place to another. Your moving company should take care of this for you prior to the move, though they may charge a fee. When you arrive at your new home, the site must be prepared. This can mean anything from taking down any trees that are in the way, to leveling the ground where the home will be placed and putting blocks underneath the home and attaching both to the ground. Sometimes, the groundskeeper will complete this task for you if you've made prior arrangements. Once you're placed, set up a connection day for utility and power lines. Rate this guide How Much Does it Cost to Move a Mobile Home? What Kind of License and Insurance Does a Mover Need? What Are the Top Places in the US to Raise a Family? How Far in Advance Should You Schedule Your Move? What are the Most Popular Reasons for Moving?